Cell phone battery dead? When all else fails, the USB candle charger is here! If you are like me, and often find that your cell phone battery charge is low, there are so many USB battery packs in every shape and size to solve that dilemma. But have you ever been in this situation with no way to recharge your phone or battery pack? I have, and I found it to be the most frustrating experience with no alternative but to head out of the house in the freezing New York temperatures, and huddle in my car to get enough charge to keep my power-hungry apps going on my iPhone. Enter the Candle Charger by Stower! This is an ingeniously designed device that allows you to charge your cell phone when conventional electricity is not an option. It is the first of its kind charger that uses the candle flame from a small fuel canister and water to create an electrical charge. And, if you run out of fuel canisters, a regular candle of similar size can work. 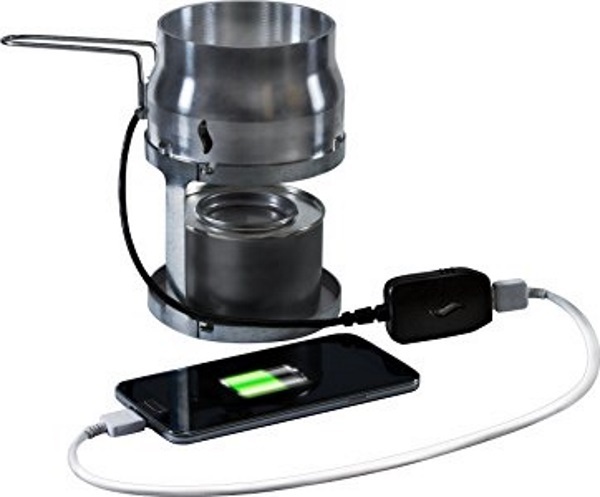 While it is miniature in size, it provides charging power anywhere, whether during a blackout or outdoors on a camping trip and maybe in some extreme places when the cell phone is dead and emergency help is needed. It even has an advantage over solar chargers, since they need sunlight to recharge. It will recharge the standard cell phone twice per one fuel canister.